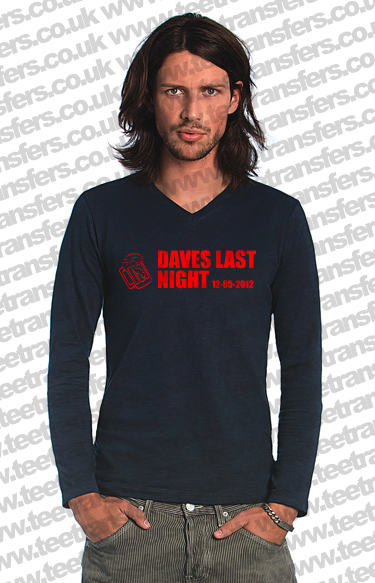 Personalised Clothing for Nights Out! Make your own personalised T-Shirts and clothing for Hen & Stag nights with a little help from TeeTransfers. Having owned a T-Shirt printing shop in the past (5 years ago) we know that sorting out personalised clothing can be a nightmare for everybody! Everybody wants to have the same Number! Which is why TeeTransfers makes things super easy! Ordering your Hen and Stag Night t-shirts from TeeTransfers can take less than 5 minutes, and once your transfers arrive, just iron on! So if your looking for a personalised Sash, or even a jokey style stag t-shirt then why not consider making one yourself and save yourself a bundle! 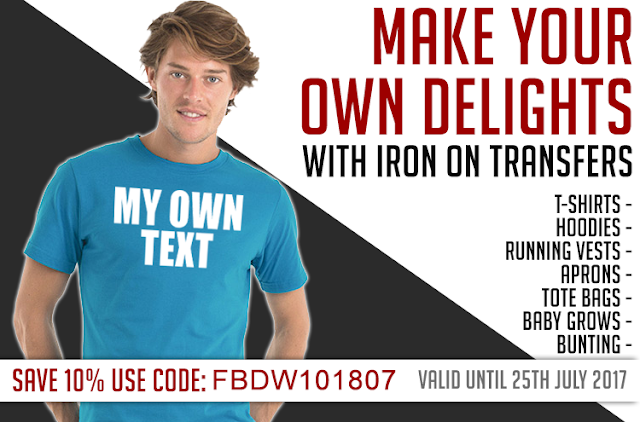 T-Shirt print shops usually charge in the region of £10.00 to £15.00 for a few iron on letters, and sometimes delays make it a nail biting wait to ensure the clothing is ready and "correct". With TeeTransfers, order the letters you need from our easy to use Web Store, and within a couple of days you can iron your iron on transfers onto a a wide range of clothing (or even a t-shirt you already own!). Here are some examples of what you can make with the iron on transfers from TeeTransfers! So whatever you want to create, you can do easily by browsing through our collection of designs, shapes and other iron on letters and numbers!